An ongoing challenge to liberal democracy is a falling participation by the mass of the electorate in the formal structures of parliamentary democracy. These are trends evident in declining voter turnout in the UK but also a decline in party activism and membership across the political spectrum throughout Europe. This is while rising social and economic challenges caused by global financial crisis and recession provoke a myriad of political issues for communities to mobilise around. Contemporary events in North America, Greece, Spain, Italy, Egypt and now Turkey, where thousands have felt motivated to take to the streets to express their grievances and even experiment with alternative models of political engagement, appears to demonstrate that the source of the malady of withdrawal from formal politics is not necessarily, as is commonly held, in a culture of disinterest and apathy. Such trends provide an opportune moment to review the ideas and criticisms offered up by anti-statist alternatives. The degree to which this collection can be a “praxis” orientated work is somewhat constrained by the choice of publishing house which puts the retail price beyond what a more general audience would expect to pay. The collection, however, does succeed in bringing together a sweeping range of contributions on the subject of Marxist and anarchist convergence establishing a broad historical scope from the ideas of William Morris, writing at the close of the Industrial Revolution, to the “post-modern” ideas of Negri and Hardt. The unfortunate absence of feminist and LGBTQ perspectives within the volume are conceded by the editors as are its geographical limits, a factor which doesn’t do justice to the diversity of the movements through which these ideas have arisen. The editors may be correct that the book, “provides rich enough material to introduce the broad contours of the red and black divide”, but one can only wonder what additional insight the above dimensions would have brought. A review of the experience of the First International is also curiously absent. This may have been a conscious choice by the editors given the singular fixation on this period in the wider literature, nonetheless as the largest and longest surviving unitary organisation it warrants some scrutiny. The book is well placed in term of its place in relation to much of the other academic literature, which tends to treat these two traditions independently or where a common heritage is acknowledged it is mainly in terms of establishing a context for the bitter rivalries that followed. The propensity for the Left to fracture on the basis of petty sectarianism is well known. In fact the “black” and “red” split (that between the anarchist black and the Marxist red) with which this collection is concerned is frequently defined, rightly or wrongly, in terms of a personality clash between the two key proponents - Marx and Bakunin. Such attitudes are, unfortunately, not entirely limited to the world of political practice and likewise have their adherents within academia. The fact that this collection aims for a dialogue beyond the conventional canons of socialist thought is a welcome remedy to a status quo of sectarianism and non-engagement. The contributions throughout this book largely succeed in meeting these praiseworthy goals outlining points of commonality, historical encounter or possible avenues for future dialogue between these two traditions. This is with the curious exception of Blackledge’s article on ‘Freedom and Democracy’. This is not altogether without merit as in many ways Blackledge’s writing is characteristic of the kind of unconstructive dialogue the editors’ state they hope to dismantle. Yet even its potential benefits as a point of contrast are weak compensation for a poorly evidenced and largely polemical article. The analysis hinges on the rather spurious claim of an essentially liberal core to anarchism (based on some rather superficial similarities between Bakunin’s and liberal attitudes towards power), its inability to offer a “positive project of building a democratic alternative to capitalism”(21) and the comparably better framework offered by a Hegelian Marxism. It is unclear, what, if anything is being reconciled here. Likewise even a cursory study of Bakunin’s writings would reveal a host of organisational propositions for building a “democratic alternative to capitalism” in the form of the commune and the federal associations of the workers1. There are also the propositions for libertarian social, political and economic organisation that Kropotkin carefully outlines in ‘The Conquest of Bread’ (1892), to cite just one particularly influential text. Anarchism’s own critical engagement with Hegelianism is likewise not acknowledged and generally undercuts the basis of Blackledge’s claim (see, for example, Bakunin, 1842; McLaughlin, 2002). Finally if we are to take Blackledge’s claims that on the basis of a careful reconstruction of Marx’s writings there is a credible libertarian Marx worthy of engagement this still needs to be reconciled in some way to the actual political activity of both Marx and Engels throughout their lifetimes which was overwhelmingly reformist, statist and authoritarian. I am not making the claim that such reconciliation is not possible, but Blackledge does not make these efforts feeling a few scattered citations to be a sufficient case. Blackledge’s article does very much stand in isolation within the collection. In fact when looking at the application of the broader themes throughout the book there is a more of a sense, the above case excepted, that some of the contributors actually went a little too far in their desire for a neat rapprochement between these traditions by collapsing some of the more complex and nuanced distinctions a little too readily. Softening ideological divides without due interrogation can only produce further confusion and is largely counter-productive in terms of the underlying goal of broadening an existing consensus. Labels alone, particularly self-elected ones, may act as poor guides for the characterisation of ideas and obscure the true content of political principles. Tolstoy, Proudhon and Stirner, for example, are discussed largely as uncontroversial figures within the anarchist camp. However doing so is unrepresentative of the popular definition of anarchism as a sharply delineated body of thought and practice emerging from the experience of the socialist activity of the late Nineteenth century (see, for example, Schmidt and Van Der Walt, 2009), of which the above three can hardly be characterised as clear-cut adherents. That is not to say that there have not been attempts by sympathisers to answer these particular controversies (on Proudhon see for example, McKay, 2011), but it is still necessary to acknowledge the essentially contested nature of this ground nonetheless. Similar issues arise from the presentation of the “red” side of the red and black divide. Lenin and Leninism, most notably, are referenced throughout the collection. However Lenin’s place within revolutionary Marxism is often challenged and certainly his credentials as a libertarian, at least in terms of how he chose to characterise his own ideas and practice during his lifetime, are far from clear. It is undoubtedly possible to make a case for a libertarian Lenin on the basis of an exclusive interpretation on some of the ideas contained in his famous text ‘State and Revolution’, as some of the Marxists of the Johnson-Forest Tendency and the Italian Operaismo occasionally did. But even leaving aside the problems arising from such a view it is impossible to deny the also decidedly un-libertarian political commitments – authoritarian, hierarchical and statist visions of social change - of even these adherents. This is a point which is made quite well, and represents a noteworthy exception within the volume to the above criticism, by both Høgsberg and Levy in terms of their analysis of the ideas of C.L.R. James and Gramsci (respectively). In both cases the authors carefully tease out the points of influence and areas of political cross-pollination that left a distinct libertarian imprint on ideas while still maintaining the essential integrity of the subjects’ core positions. More direct contributions or at least some further guidance on these deeper issues would have brought the awkward nature of some of these encounters to the forefront and speak more strongly to those concerned with the undoubtedly messy process of ideological delineation. A standout contribution is that of Berry on the ideas of Daniel Guérin. This opens up much more fertile theoretical ground for dialogue than the principally historical encounters contained in many of the other texts. Guérin stands as a figure of central importance as one of the few thinkers to attempt a direct synthesis, as opposed to simply being influenced or sharing similarities, of Marxist and anarchist ideas. It is unfortunate that Guérin is somewhat of an unknown figure in the English-speaking world. His theoretical works are of a rich and varied source incorporating the influences of heterodox figures such as Stirner and Proudhon as well as tackling neglected issues such as sexuality (which he wrote about while operating under the latent homophobia within the labour movement of his time). In fact Guérin’s approach highlights both similarities and dissimilarities with the collection as a whole. Like many of the contributors he saw the value in re-evaluating the common history of the Left and mining this for common, unitary commitments. However, in a commitment that highlights the deficiency of much contemporary social criticism he saw this as primarily framed by the challenges arising from contemporary socialist practice. His words (quoted in the article), that libertarian socialism must not be, “an endless raking over of the past but must be a rallying point for the future” (201) are potent in this respect. While such criticism may be unfair in terms of the aims established by the editors to establish historical points of convergence, they do at least point to a failure to frame the debates contained in this collection by contemporary concerns. The source of the decline of the organised Left, and particularly the far-Left, is not necessarily resolved by questions of unity but, in a curious mirror of the institutional political world, in deeper questions of constituency and the traction of commitments to equality, social justice and common ownership within communities. The fact that austerity and economic crisis has re-politicised issues of class division and social welfare does not remove from the fact that a lot of the natural political ground of the Left has for the past twenty years been so effectively undercut by social partnership and shifts in class composition. Phenomenon like Occupy and the square protest movements are an awkward fit within this tradition in that, aside from often identifying themselves as “post-ideological”, it is actually political constituencies that are considered the outcome, and not the prerequisite, of political action. 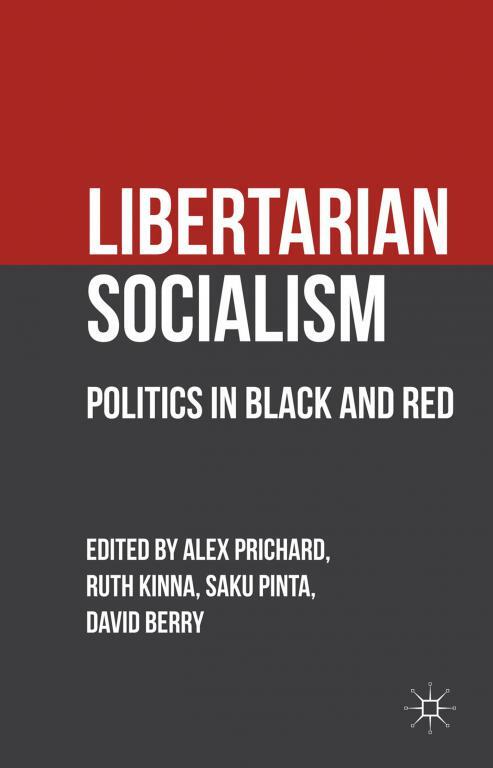 It is unclear how and what sense the “libertarian socialism” arising from this volume answers these critical concerns. Bakunin, M. (1973) Bakunin: Selected Writings. Lehning, A. (ed). Jonathan Cape: London. McKay, I. (2011) Property is Theft! : A Pierre-Joseph Proudhon Reader. AK Press. McLaughlin, P. (2002) Mikhail Bakunin: The Philosophical Basis of His Anarchism. Algora Publishing. a lot of the natural political ground of the Left has for the past twenty years been so effectively undercut by social partnership and shifts in class composition.